Baum's first novel, published in 1900, was an immediate best-selling children's book. Although he published poetry, plays and produced films, the public preferred his Oz series which he extended to 17 novels before his death in 1919. 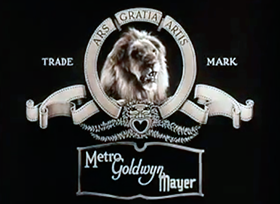 After the huge success of Walt Disney's Snow White and the Seven Dwarfs (1937), MGM bought the rights for the novel from film producer Samuel Goldwyn and the story went through many iterations with the contributions of nearly a dozen screenwriters. Even so, it retains major elements of the original novel. A girl from Kansas is conked on the head and comes to in a strange land. She then begins an adventure to find and ask a great wizard to help her return home. 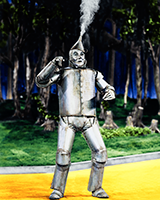 The Wizard of Oz recorded a loss after it's first theatre run and was initially considered a financial failure by MGM.